Join one of the BMC and DMM's youth climbing meets in 2019, a weekend of classic climbs, good socials, and an evening lecture on the Saturday night. This one will be based at Bens Bunkhouse in the Llanberis Pass on the weekend of the 16th-18th August. The BMC Student Safety and Good Practice Seminar is a must if you're involved in running a student climbing, hill walking or mountaineering club. The seminar will be held at Plas y Brenin in North Wales on Saturday 12th and Sunday the 13th of October 2019. The 2019 BMC Youth Meet will be held at the FRCC hut at Rawhead in Langdale on 5th/7th July 2019. 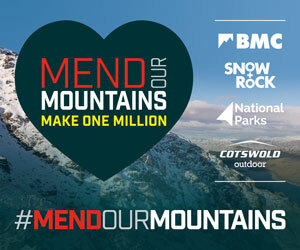 The BMC is running a fundraising campaign from the 15-22 March 2019 to help some UK based charities that work through the medium of climbing and the outdoors. Teams from schools, universities, climbing clubs and individuals can sign up to raise money for one of the charities through one of our climbing challenges or make up their own. The first in the series of the UK's newest and most interesting climbing film project, in association with Liverpool's 'The Climbing Hangar'. George Atkinson, 16, has become the youngest person in the world to scale the highest mountains in every continent. A new documentary about French climber Philippe Ribiere. How can my child get involved in climbing, hill walking or mountaineering? Does the BMC have a Child Protection Policy? Who do I speak to in the BMC about a child protection issue? What information does the BMC have about climbing for people with disabilities?